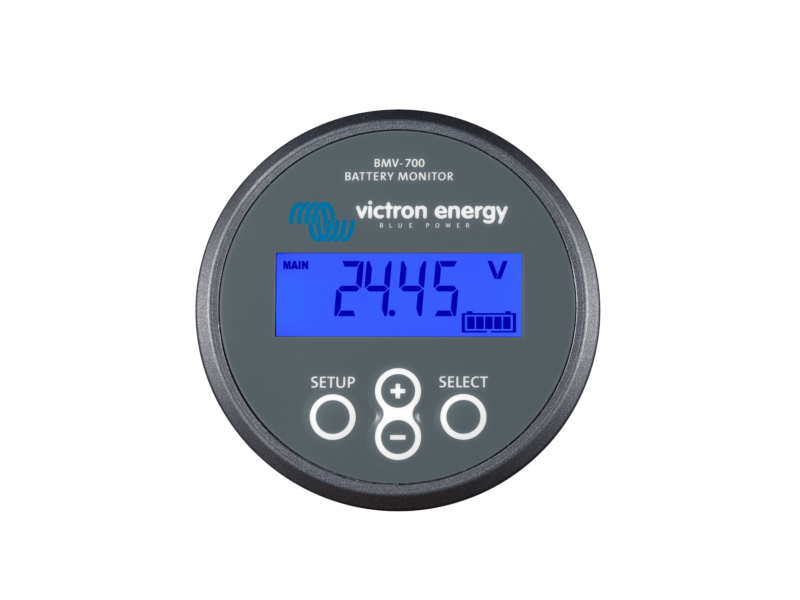 The BMV-702 is Victron's new high precision multi-function battery monitor with a host of useful features. 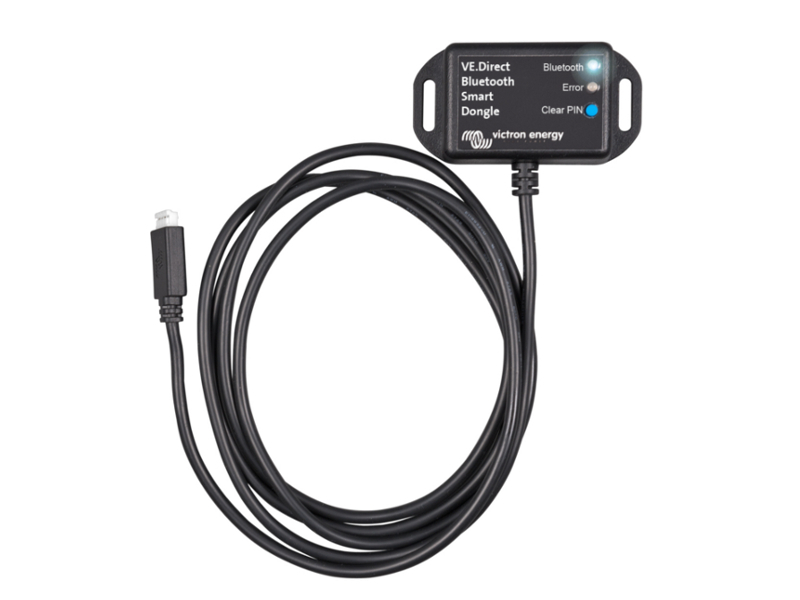 It essentially acts as a battery 'fuel gauge' for anyone needing to keep a check on the performance of their battery or battery bank and can monitor the voltage of a 2nd battery. The information displayed by the BMV-702 includes voltage, current draw, Ah consumed, % charge level, 'time-to-go' and it features a programmable alarm and in-built relay to trigger external equipment under an alarm condition (note: information displayed for 2nd battery is voltage only). Installation is easy and all required connection cables are supplied. 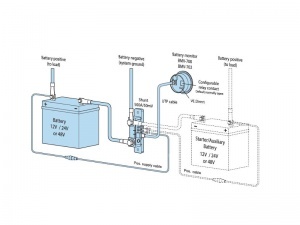 The shunt is fitted in-line with the leisure/house battery's negative cable, the starter/auxiliary battery's negative cable is connected to the shunt's output and fused +ve supplies are taken from each battery into the shunt's 2 inputs. 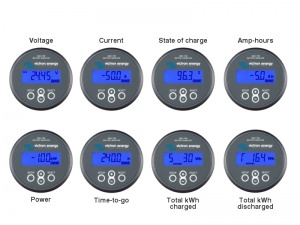 Once the battery monitor is panel-mounted in a suitable location (with or without the supplied square bezel) it is connected to the shunt's PCB using a single RJ12 data/power cable and programmed using the on-board menu. 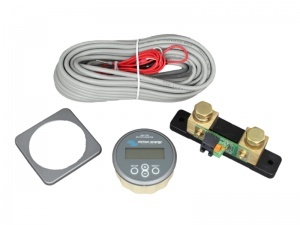 Temperature monitoring of a single battery/bank using an optional temperature sensor. 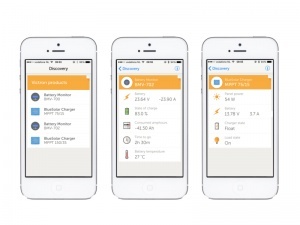 Battery capacity reduces as temperature increases so the sensor measurement can be fed into the monitor to adjust displayed capacity based on temperature. Mid-point voltage monitoring of one bank of batteries connected in series (or banks of series-connected batteries joined in parallel). 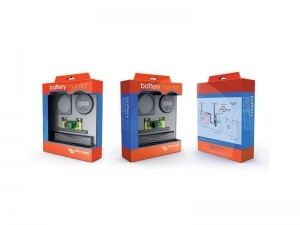 This allows detection of a bad cell or a bad battery which can potentially destroy the other connected batteries by over-charging. The voltages either side of the mid-point are compared and the deviation displayed in % and V, with a programmable alarm providing a warning that the deviation is too great. Suitable for 2 batteries or banks of batteries. Monitor for boat with 2 x 230 amp hour batteries and a 75 amp engine battery. The monitor was easy to fit but we did require a thicker length of negative earth cable as the earth on our boat was 500 amp. We should have checked it before but the boat is about 100 miles away. The 100 amp cable we purchased was not used. The monitor seems to be working well and we do not need to have the generator on as much as we did before we ha the monitor.